Revive a slice of racing history by piloting a genuine ex-World Championship Formula 1 car. In the sun-soaked haven of the Cote d'Azur, let loose on the 2.2 kilometre Circuit Gonfaron. Start with croissants and coffee, don safety equipment and hear the expert instructors' briefing. 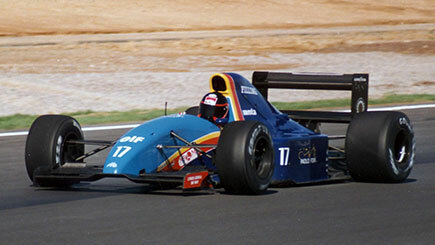 Be driven round the circuit for a theory lesson, then take the wheel of a Lotus Opel F3 car for eight laps. After another briefing it's time to take the helm of the F1 machine for three laps. It's a car that raced in the 1980s and one of the last with a manual gearbox. Weighing less than half a Mini and boasting a 650 BHP Cosworth engine, this astounding car accelerates from 0-120mph in less than 5 seconds! Finally, raise a champagne toast and get a certificate. Around fifteen dates per year. A driving licence is required. Minimum age is 18. Maximum height is 6'2'', maximum weight is 16 stone. Drivers are liable for up 6000 Euros if the car is damaged during driving. This can be reduced to 1000 Euros by paying 170 Euros on the day. Driving could be cancelled or curtailed in extreme weather conditions (e.g. snow, ice, heavy rain or high winds) which would make driving at speed dangerous. There will be a maximum of 18 drivers on the day. A race suit, helmet, race gloves, boots and safety equipment are provided. There are no rev limits or restrictions on the cars, there is no lead car to follow and there are no speed limits. It is just you in the F1 car and the track.